While AT&T finishes preparations on its new 4G LTE network, the carrier will begin selling the first two devices that will connect to it on August 22. The two devices, a USB stick called the AT&T USBConnect Momentum 4G, and a mobile hotspot called the AT&T Mobile Hotspot Elevate 4G, could connect at speeds ten times faster than previous such devices release by the carrier. The new LTE devices can connect to AT&T's HSPA+ 3G network when and where the 4G LTE network is not available. AT&T will begin selling the AT&T USBConnect Momentum 4G in black and silver for $49.99 with two-year contract after a $50 mail-in-rebate. 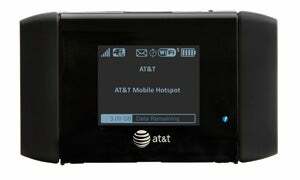 The AT&T Mobile Hotspot Elevate 4G will be available in black for $69.99 with 2-year contract and after a $50 mail-in rebate. Another device, the AT&T USBConnect Adrenaline, which went on sale earlier this year) will be upgradable to LTE via a software download beginning August 26. AT&T also confirmed data pricing for data-only mobile broadband devices on the company’s forthcoming LTE network. Owners of AT&T LTE devices can buy the same $50-for-5GB data plan available for AT&T 3G devices. An overage charge of $10 per gigabyte applies when the 5GB limit is exceeded. AT&T's new LTE network will roll out in five markets--Atlanta, Chicago, Dallas, Houston, and San Antonio. By the end of 2011, AT&T says it plans to offer 4G LTE to customers in at least 15 markets, covering 70 million Americans.